After our visit to Pizza Bob's for breakfast a few weeks ago, we decided to take the boys to get some cookies at Waialua Bakery. 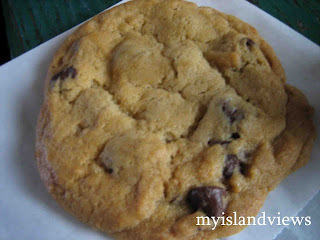 DS2 got a Chocolate Chip cookie. 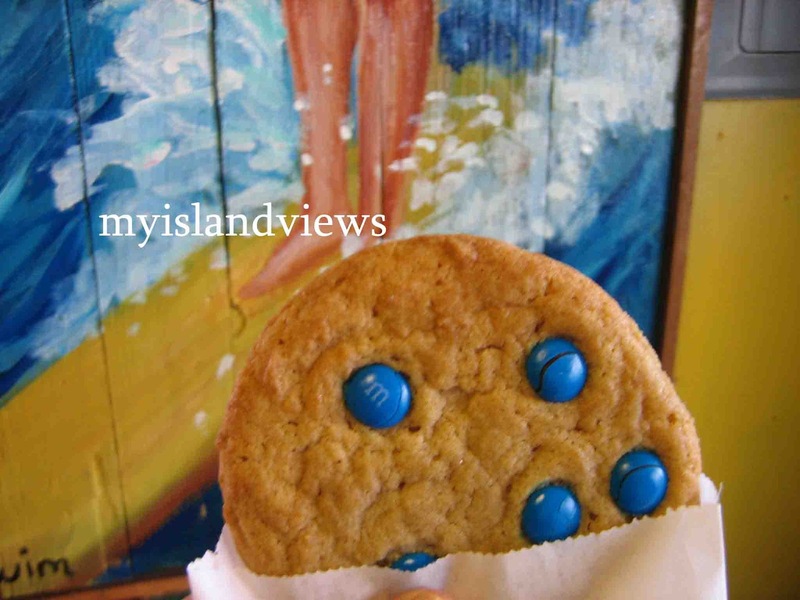 DS1 had a Blue M&M's cookie. 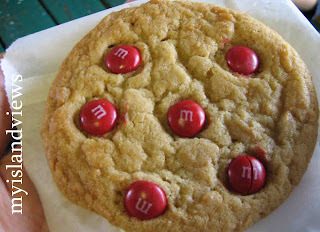 And I got a Red M&M's cookie (of course I had to try a cookie myself!). 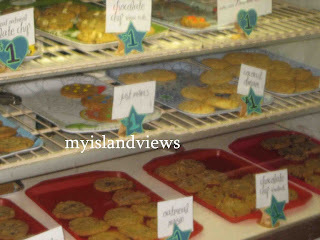 Each cookie was a $1. They're large, soft, chewy, and delicious! I think the next time I go to Waialua Bakery I'll try one of their sandwiches - it seemed to be a popular item. And I'll try another cookie!